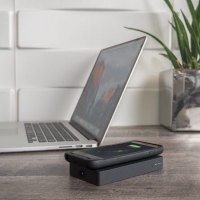 Late last year, Mophie unveiled its latest lineup of Powerstation external batteries, offering a number of slim new options for recharging mobile devices on the go. 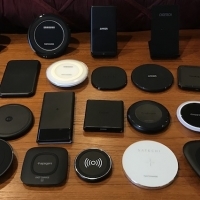 The lineup includes five models: 1X (2,000 mAh), 2X (4,000 mAh), 3X (6,000 mAh), 5X (10,000 mAh), and 8X (15,000 mAh), with prices ranging from $40 to $150. 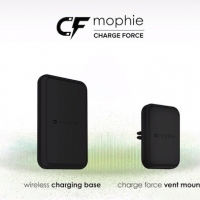 Mophie's Powerstation batteries are available from a number of outlets, including Apple's own online and retail stores for most of the lineup. 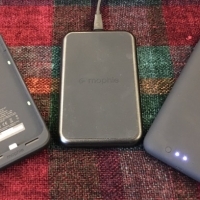 Mophie sent me both the 2X and 8X varieties for testing purposes, and I've been using them as my primary external batteries for the past several months. 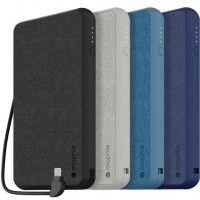 Design Mophie's batteries certainly aren't cheap, but they do come in appealing designs using high-quality materials, so a bit of a price premium is to be expected. 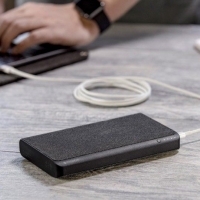 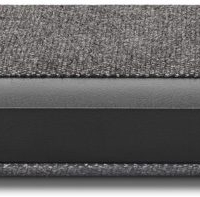 The casings of the latest Powerstation models are made entirely or almost entirely of aluminum with a matte finish, nicely complementing Apple's most popular silver color. 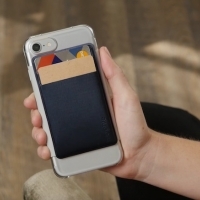 They feature a slim design that makes them easy to slip into a purse, bag, or even a pocket for the smaller versions, along with a substantial, high-quality feel. 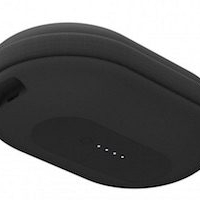 A button and four LEDs along the side of each battery makes it easy to quickly check approximate charge level. 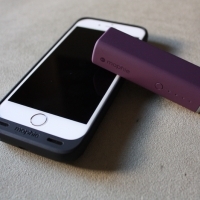 As is typical of Mophie products, the Powerstation design and feel are terrific. 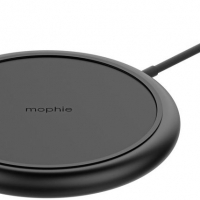 Alongside the start of pre-orders for the Apple Watch last month, Mophie announced the Watch Dock, a $60 aluminum stand for the Apple Watch with leather accents and hideaway cable storage. 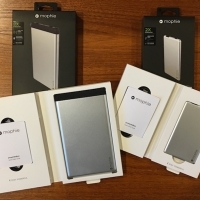 It took a bit longer than the original estimate of April 24 for the Watch Dock to launch, but it's now shipping out to the first batch of pre-order customers and Mophie has provided us with one for testing purposes. 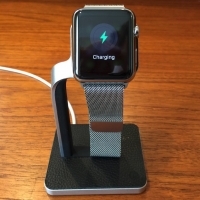 The Watch Dock is very straightforward, with the box containing only the stand and a quick start guide illustrating how to route your existing Apple Watch charging cable through the stand. 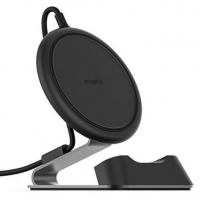 A circular cutout at the top of the stand holds the inductive charger, with the cable being fed through a rubber-enclosed channel along the inside of the stand's arm, disappearing into the base and out the back. 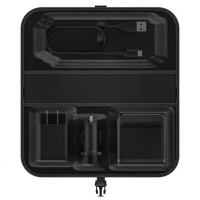 The cable management system offers a clean look for the stand and the design makes it easy to mount an Apple Watch with either a looped or a traditional band for charging. 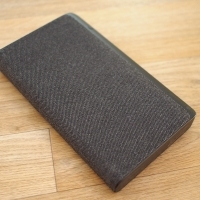 The angled design of the stand makes it ideal for placement on a nightstand or desk where an occasional glance might be necessary. 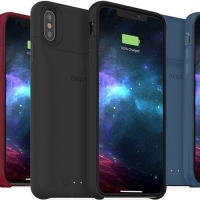 Accessory maker Zagg, known for its InvisibleShield screen protectors and other Apple-related accessories, today announced an acquisition of mophie, a company that makes external battery packs and battery cases for Apple's iOS devices. 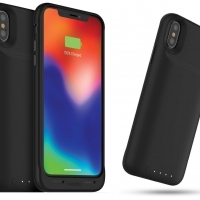 According to a press release from Zagg, its acquisition of mophie will allow it to be the market share leader when it comes to battery cases, external batteries, screen protection, and tablet keyboards. Zagg has paid $100 million at deal closing for mophie, with a caveat that additional money may be paid out based on earnings over a 12 month period from April 1, 2016 to March 31, 2017. 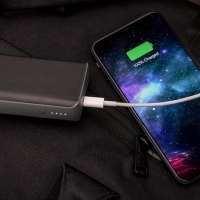 "This strategic combination of two industry innovators with complementary product, brand and distribution platforms will enable us to deliver increased value for our customers and shareholders," said Randy Hales, President and Chief Executive Officer of ZAGG. 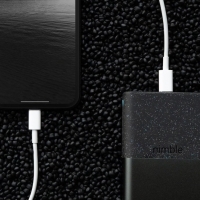 "We see numerous opportunities to drive revenue growth and increase profitability by leveraging the strengths of both organizations to strengthen product development, improve brand presence, and expand distribution. 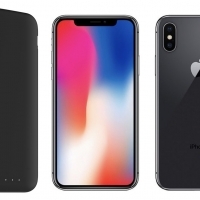 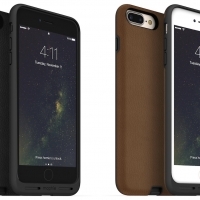 "Going forward, Zagg will keep the mophie brand intact, continuing to sell mophie products under the mophie brand name. 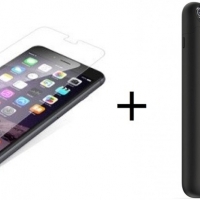 Zagg says mophie will retain its identity, messaging, and strategy, but cross-branded protects, like a Zagg tablet keyboard powered by a mophie battery, are possible in the future.